Lightweight polo shirts for golf provide clothing technologies not found in your regular shirt. 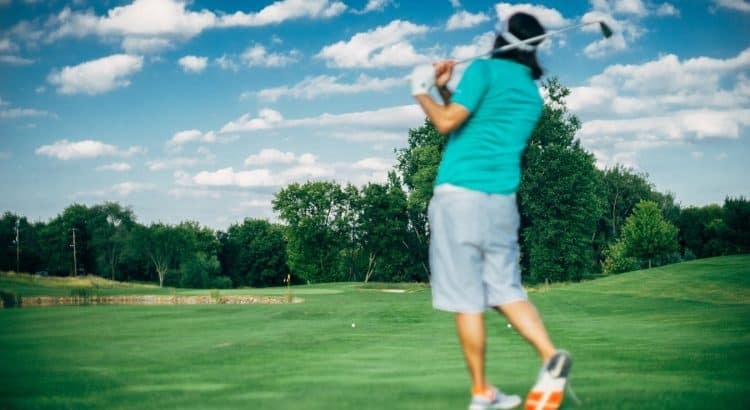 For example, the best golf polo shirts will include sweat wicking and zero friction designs with microfiber cooling that is perfect for hot weather. The best golf shirts are the Under Armour Men’s Performance Polos which are excellent in hot weather. There are over 20 different styles of this performance shirt with over 16 matching sizes for every golfer to choose from. Popular golf shirts brands include Nike, Adidas, Under Armour, Callaway, Ping and much more golfing brands. You can expect each of these tops to include clothing technology to keep you cool whilst playing golf in the hot weather. Golf shirts follow the same principle as tennis shirts with a collar and placket. However, many golf courses around the world are fairly strict on what you can and cannot wear. A polo is a better choice because its lightweight, formal and comfortable. Alongside sweat wicking and zero friction designs with microfiber cooling, there are other features to consider. For example, many polo shirts designed for sports include anti-odor technology and ventilation to allow more air flow. All things consider, there are plenty of polo shirts on the market that require researching to find the highly rated versions. Below is a list of the best golf shirts for hot weather that are primarily for men of all sizes. Under Armour are becoming the latest brand to develop fashionable clothes that can be worn on and off the golf course. The Performance polo shirt produced by Under Armour has over 20 choices of colours and styles as well as 16 different sizes in order to accommodate every golfer. The golf polo shirt is made from 95% polyester and 5% elastane that provides a UPF of 30 plus and includes anti-odor technology. The collars is 100% polyester and are rib-knit to be more durable over the years. This is one of the best golf shirts for comfort as it’s been designed to be loose on the golfer with smooth fabric with a snag-free finish. Along with comfort, the Moisture Transport System by UnderArmour wicks sweat and dries much faster for playing golf in hot weather. 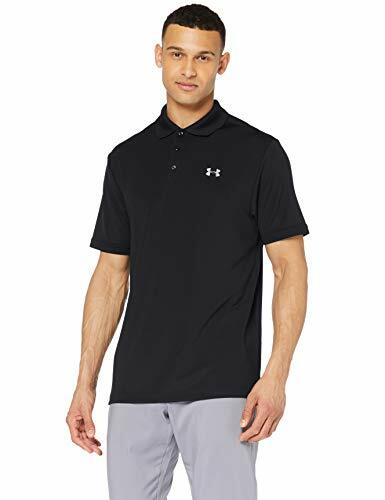 Overall, the Under Armour Performance Golf Polo Shirt is the best buy for hot weather and benefits from a range of colors and sizes. Nike produces the most fashionable clothing in golf and any other sport for that matter. The Golf Dri-Fit polo shirt is perfect for hot weather on the cause and comes with a staggering 43 different designs and 6 different sizes. The Victory Golf Polo Shirt by Nike is made using 100% polyester and is a standard fit with 3 button placket. The Dri-Fit technology ensures you stay dry during the hot weather and is the main selling part of the shirt. The Nike alternative to the Under Armour is slightly more expensive but has many more colors to choose from. The Under Armour is also designed for comfort whereas the Victory Golf Polo is a standard fit. 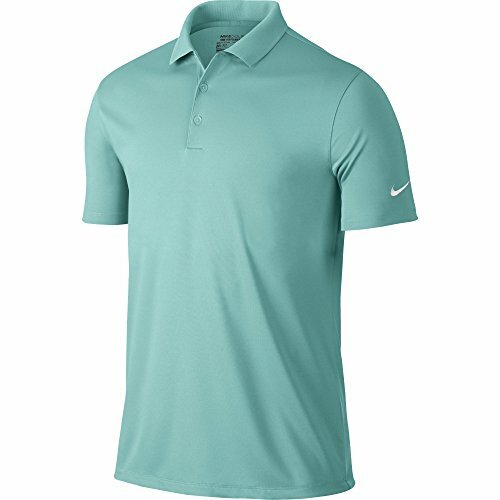 Overall, the Nike Polo Shirt is very fashionable and the Dri-Fit technology means its one of the best polo shirts for golf in hot weather. If the major brands are out of your price range but you still want a dedicated golf polo shirt, then PGA Tour have their own design. The short sleeve polo shirt is made from 100% polyester and has sweat wicking and ventilation for golfing in the hot weather. In total, there are 9 colors to choose from with 6 sizes for every golfer. The model of this polo shirt is “AirFlux”, which is an advanced technology to allow maximum airflow through the fabric for ventilation during hot weather. They are the best cheap golf polo shirts on the market that offer both cooling and comfort. Even though it is cheap, quality remains very high and it is durable enough to last many years of golfing. Adidas are another major sporting brand and their latest Climacool striped golf polo shirt provides motion stretch with their fitted design. As the name suggests, it has been designed for hot weather with a mesh rear of the shirt for ventilation. On top of the great ventilation is sweat wicking features to keep you dry. It is one of the best golf polo shirts made by Adidas with many 9 choices of striped styles and 5 different sizes. Overall, the Adidas golf polo shirt makes a great alternative and is priced reasonably considering its a big brand. Callaway is one of the biggest golf brands and if you wear their clothing, you are certainly serious about golf. The golf polo shirt is made with 95% polyester and 5% spandex and incorporates their patented “Opti-Dri” technology. The Opti-Dri advanced technology aims to pull sweat away from you so that you stay dry in hot weather. In terms of sun protection, there is a staggering 50 UPF plus, which is much higher than the majority of clothing. There are 20 choices of color and 7 different sizes to golfers of all sizes. The Callaway brand is usually worn by experienced or professional golfers and is deemed the most formal golf polo shirt you can buy. Overall, its the best golf polo shirt for sun protection and is very high quality in terms of materials. You will not be disappointed buying this shirt and the choice of colors means you can mix things up a bit. When you are playing golf, you want to be comfortable but at the same time look good. The majority of polo shirts are priced around the $50/£35 mark with a range of styles from stripes, blocks and hundreds of colors. Be sure that there are sweat-wicking materials within the shirt to keep you dry. You will often see sweat patches on golfers backs where they have gone for the cheapest option or for a winter styled polo shirt. On top of this, you will want to ensure that there are adequate cooling features that allow plenty of air flow. Without this, all the heat will remain inside of the polo shirt, which is something that you would want for a winter golf shirt.